Silas Koch (Image Credit: World Vision Australia). 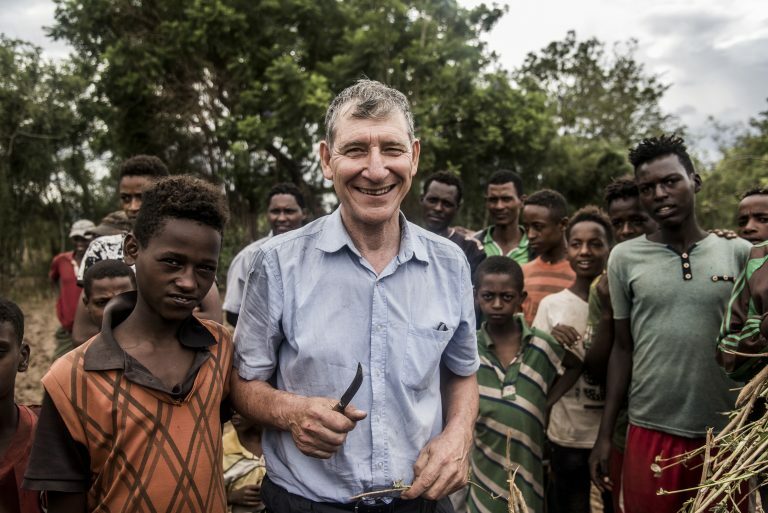 WORLD VISION’s Tony Rinaudo has won the Right Livelihood Award, a ‘People’s Novel Prize’ of sorts, after more than 35 years working across Asia and Africa. “Most people don’t realise that protecting the environment can help reduce hunger. Having trees on your land or forests nearby helps improve soil fertility, reduces rain runoff and boosts crop yields,” Tony says. Tony was travelling in Niger in 1983, when he encountered a dilemma with the tree-planting movement. Past recipients include Syria’s ‘The White Helmets’ and human rights advocate Bianca Jagger. “The international community was planting trees, but many of these trees kept dying. They wouldn’t survive the drought, while people were chopping them down because they desperately needed wood for fuel, shelter and to sell,” the 61-year-old agronomist says. Tony was in the middle of barren landscape in Niger in 1983, when he made a surprise discovery that there was an existing underground network of tree roots struggling to grow. He realised he could train local farmers to help these trees to grow by educating them about the benefits of trees and teaching them a technique to prune them with a sharp knife. The simple method is called Farmer Managed Natural Regeneration, also known as FMNR. Since the 1980s, it has been credited with helping restore six million hectares of forest in Niger. “In these areas, farmers say they’ve been able to double their crop yields and incomes. They’re now producing enough food to feed an extra 2.5 million people a year,” Tony says. In Humbo, Ethiopia, the green results can literally be seen from space, via satellite images (attached). The award, which is given to four Laureates worldwide each year, recognises courageous people and organisations offering visionary solutions to the root causes of global problems. “Tony Rinaudo presents practical solutions to counter desertification, famine and despair. His farmer-managed natural regeneration method has proven to be very successful,” Ole von Uexkull, Executive Director of the Right Livelihood Award Foundation, said. Tony and World Vision are now promoting FMNR in 24 countries worldwide. The Melbourne resident says he hopes more organisations and policymakers will promote and incorporate environmentally sustainable initiatives like FMNR into development work. “It’s an honour and it’s also exciting to think what this could mean for FMNR,” Tony says.